The Samsung Ativ SE is a Windows Phone handset with a 5-inch full HD display, 4G LTE and NFC. 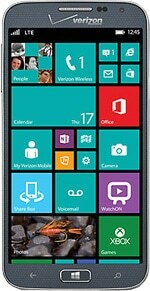 The Ativ SE is available through Verizon in the US, and is reported to be essentially a Windows Phone version of the Samsung Galaxy S4. The Ativ SE became available in April 2014.